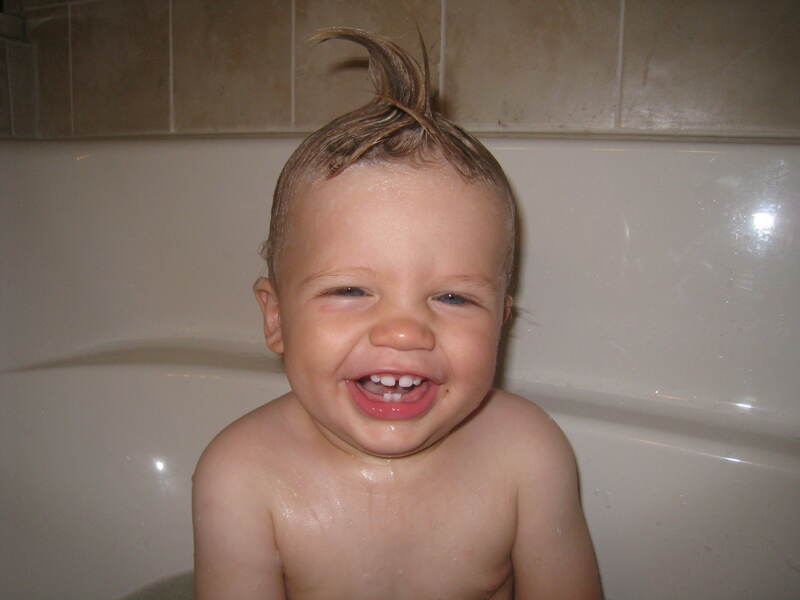 MommyBlog » MEMO: To Cooper, who hates diaper changes. MEMO: To Cooper, who hates diaper changes. I love you. I care for you. I am willing to do anything for you and for your well being. Why (oh why oh why) then do you put up such a fight when I change you?? Do you have any idea what a big deal it is that I so willingly and lovingly change your diaper 8 million times a day? Would you really rather sit there with turds congealing on your bum? And yet as soon as we come within 8 centimeters of the changing table, you begin to scream, to buck your body, to claw at my face, to kick me in the chest and to wail as if I was strapping you to The Rack. As soon as I expose your oh-so-cute behind, it never fails that you first stick your hand right in it. Yes, I do understand that you love your willy, but really: it’s poopy! Next you swat at my face with your fouled hand, then arch your back and twist to the left as your firmly plant your heel into the goop. By the time you are somewhat wiped off, both you and I are sweaty, and we still have a diaper to get on! I gave up on the Desitin long ago, because what you do to me when I try to get that on you is just not worth it. Do you know that your otherwise fearless big brother usually runs and hides under my bedroom curtains when I am changing you? You are loud. Even Dudley runs for cover. What is a Momma to do? Teach you a lesson and only let you wear one diaper all day? Potty train you at 14 months? Leave you naked? How can I get it through to you that getting your hiney changed is really not a big deal???? How can an otherwise so happy baby turn into a roaring banshee? I went through the same thing with my son around that time. My babysitter discovered it was the change table he hated (she didn’t feel like lifting him the one day so changed him on the floor and there was no freak out!!!). So now he gets his bum change done on the hardwood or tiled floor if he’s stinky or on the bed or the comfy chair if he’s just wet. This works for us only because he’s not a firehose when his privates get cold, if your little cherub likes to drain the monkey as soon as the diaper comes off, stick to the easy to clean floor. It doesn’t stop the wiggling but at least now he doesn’t have a complete nervous breakdown every time a diaper needs to be changed and it’s even better having reached the age of two still alive (thank you for the applause) and can be bribed to lay still with the promise of a sticker for his hand when he’s done! !